We dehydrated clementine slices and then we added a few of them to a mug of hot water with a cinnamon stick and a few drops of liquid stevia or your favorite sweetener and… TADA!!! 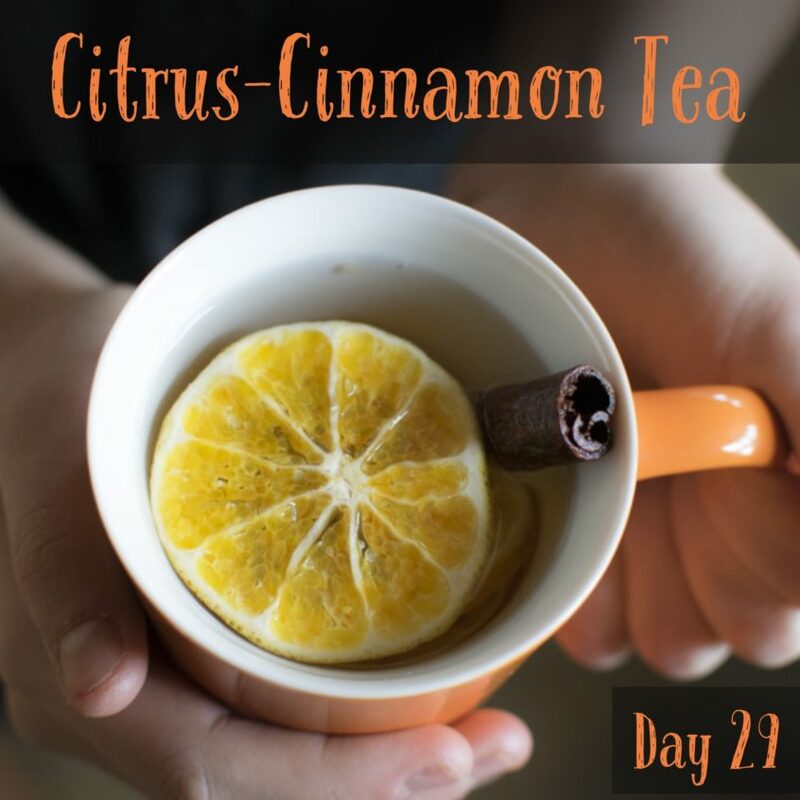 You have homemade Citrus-Cinnamon Tea! The cinnamon sticks add a warmth that goes perfectly with the citrus from the clementine! I hope you love it too!